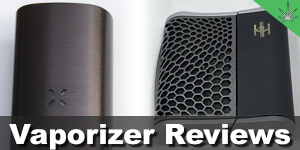 The Haze V3 vaporizer is quite popular among vapor connoisseurs, so naturally we were very interested to review it. The folks at Haze Technologies were kind enough to send us one of their Haze Dual V3 models to try out, the very same model that was given to every 2016 Oscar nominee in their gift bags. One very unique characteristic sets the Haze Dual V3 apart from any other vaporizer, it has two ovens. This allows users to switch between vaporizing herb and extracts on the go, or users could load both up with herb and have a back-up bowl for later. 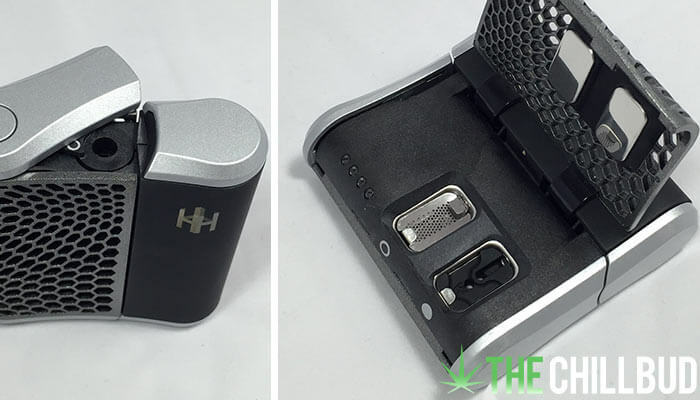 The Haze Dual V3 costs $249.99 USD for the base package, putting it in league with the Pax 2. 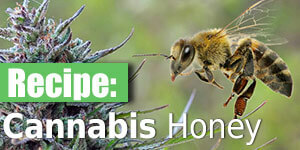 Depending on your specific vaporizer needs, the Haze V3 might very well be the best bang for your buck. The Haze Dual V3 is extremely easy to operate, there is only 1 button and it’s used to cycle through the 4-preset temperature settings. Turning the device on is as simple and swiveling the top portion to your desired oven (more on this later) and waiting 60-90 seconds for the Haze to reach temperature. This vaporizer isn’t stealthy. The Haze would certainly fit in most pockets, but it would be pretty bulky to carry around for any amount of time. If you’re willing to sacrifice stealth for a high quality vapor experience with a versatile vape, the Haze is a great option. While the Haze is super simple to operate, the aesthetic design is eye-catching, less minimalist than many other vaporizers on the market. The honeycomb design on the outer shell both looks and feels fantastic! Again, the Haze Dual V3 is larger than most other portable vaporizers, but it fits well in the hand. It’s not too bulky, but you won’t forget you are holding it either. Both mouthpieces provided are the same in terms of size, but we opted for the glass mouthpiece because we prefer to see the vapor as we inhale. It is reminiscent of a juice-box straw, you only need to draw lightly before vapor starts pouring out. Vapor quality was fantastic with the Haze, among the best of all portable vapes we have had the pleasure of trying out. We found the sweet spot was the 2nd of the four temperature settings, 380° F according to the user manual. This ensured the herb material was evenly heated throughout and didn’t require any stirring up halfway through. Each oven is marked with a symbol, corresponding with a symbol at the top of the vaporizer. When you swivel the top piece to turn the Haze on, you will see either a solid circle or empty circle. This lets you know which oven is activated. 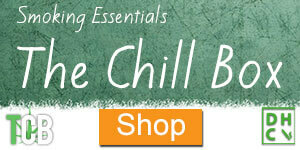 Heat settings are 365° F, 380°, 390° and 415° F.
For the price, you want a vaporizer with a solid feel. The Haze is a very solid feeling unit, nothing rattles around or feels cheap. Plus, it’s extremely simple to use. 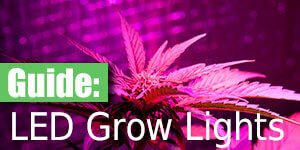 Having the freedom to vaporize herbs or concentrates is a major bonus! Not only can you vape both, you can load up both ovens and switch between them in a flash. 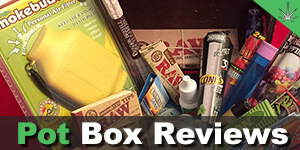 Probably the most important piece of any vaporizer review, is the vapor quality itself. The Haze V3 offers some of the best vapor draws. You will get large vapor clouds without giving yourself a cheek hernia. The two removable, rechargeable lithium ion batteries mean you can seamlessly change them out and always have a fully charged one on hand. No more vape sessions cut short from a dead battery. 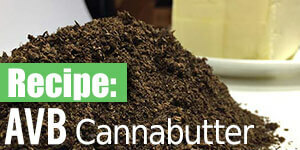 Cleaning the Haze isn’t as simple as most vaporizers. Because the draw stem is at a 90° angle from the oven draw path, you will never get the same clean as you would with a straight oven to mouthpiece stem. During the first few uses there was a definite plasticy aroma. There isn’t any plastic in the oven area, but it is set in a hard plastic shell. When this heats up it gives that distinct plastic smell, hopefully this doesn’t find its way into the vapor path though. After a few uses the smell subsides though. Size would certainly be a detractor for some. Personally I have no problem with the size of the Haze Dual V3, but on-the-go tokers would probably find it a bit too bulky. 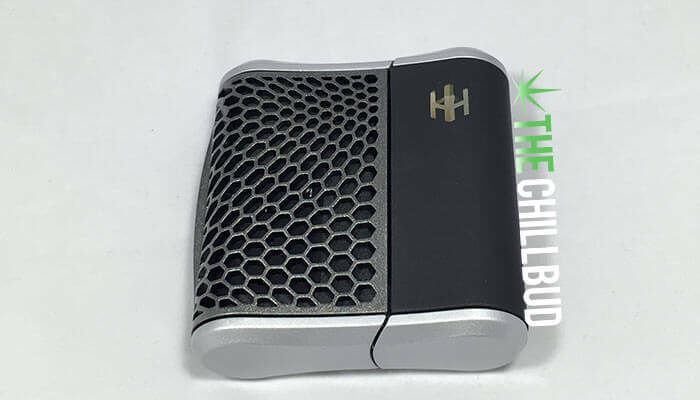 The Haze Dual V3 is a remarkable vaporizer for the price, and since the 2016 Oscars, it’s the vaporizer of choice for some of Hollywood’s top stars. 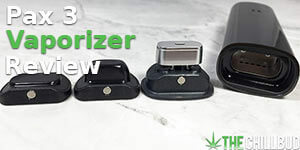 For those looking for a top quality vapor experience coupled with the versatility of two ovens capable of vaporizing herbs, extracts, waxes and oils, the Haze V3 is the vaporizer for you. 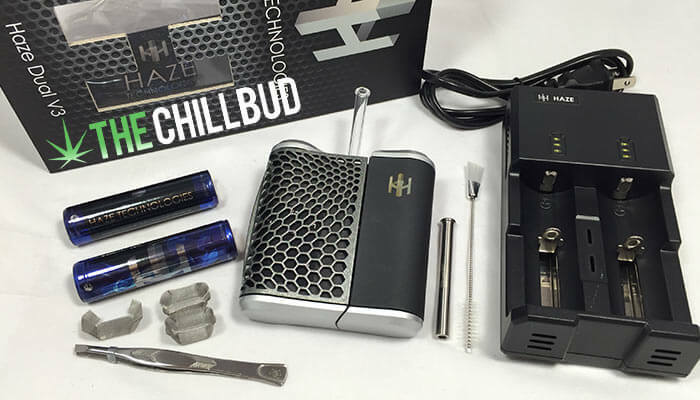 Haze Technologies offer a huge range of accessories for the V3, browse through their store and personalize your Haze to fit your specific needs. The Haze Dual V3 is a perfect marriage between functionality, versatility and value. Good quality vaporizer with a unique 2-oven design.